Kerry Lloyd trained at Portsmouth College of Art and Design as an illustrator before embarking on a career in advertising. I have now made my home in Devon after spending ten years living in South West France. 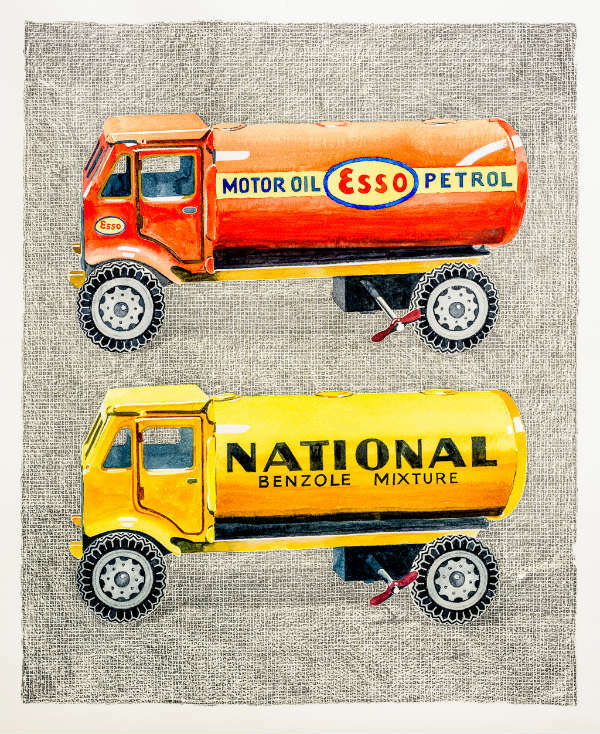 I have developed what I believe to be a unique style using soft black pencil and watercolours to create strong textured paintings with an underlying sense of humour. There is nothing profound or intellectual about my work. All I ask is, hang it somewhere nice and enjoy it ….. every day!